exploRase is a MetNet tool written in R for the exploratory multivariate analysis of Systems Biology data. It provides a graphical user interface (GUI) on top of the analysis functionality provided by R and the Bioconductor project. 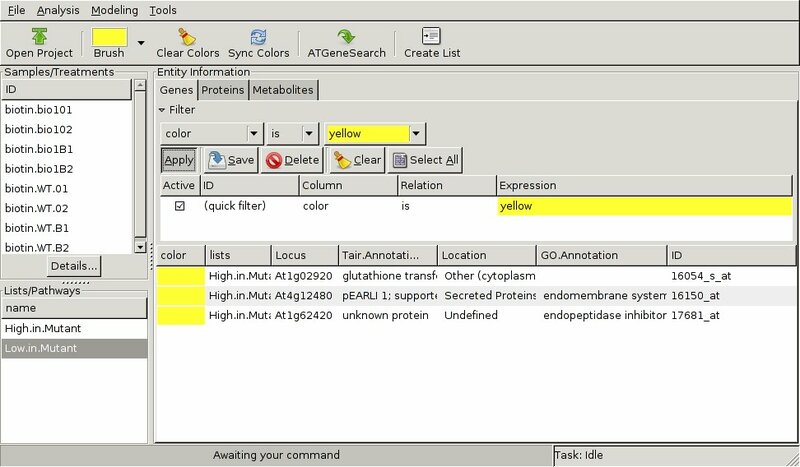 exploRase is designed to be accessible to biologists analyzing omics data in the context of metabolic and regulatory networks. 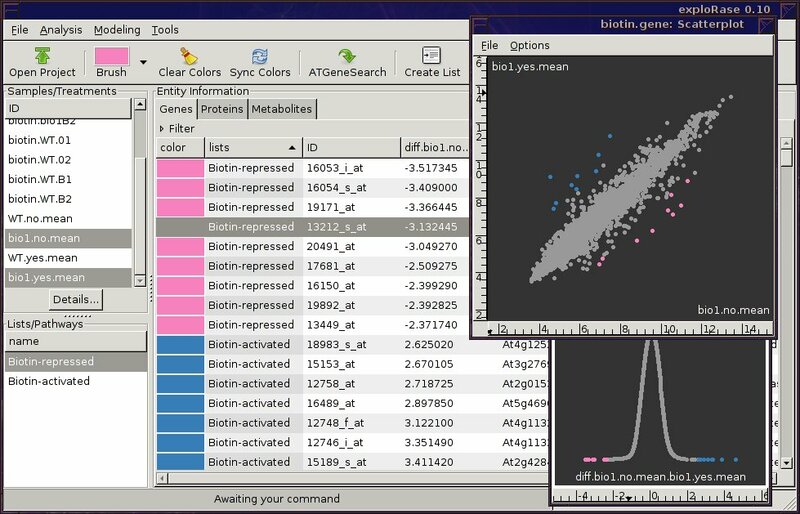 Provides a biologist-accessible GUI to R analysis functionality, such as distance measures, clustering, pattern-finding, and modeling. Integrates the analysis with interactive graphics, using GGobi. 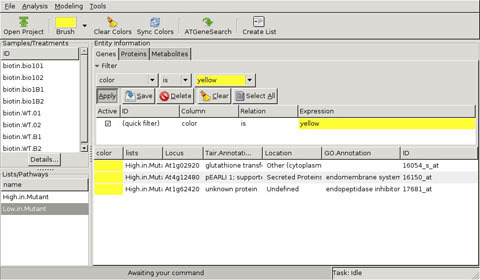 Handles transcriptomic, metabolomic, and proteomic data. Simplifies the loading of experimental data into R and GGobi. Supports the storage of lists of "interesting" entities for future sessions. Links sortable tables of entity metadata to GGobi plots by color coding. Provides automatic access to AtGeneSearch, the web interface to MetNetDB. GTK+: The premier open-source graphical user interface toolkit. R: A sweet open-source platform for statistical computing. GGobi: The definitive open-source interactive graphics platform. rggobi: Lets R talk to ggobi. RGtk2: Lets R talk to GTK+. This work is funded by NSF Arabidopsis 2010 grants DB10209809 and DB10520267. The people involved in the development are Eun-Kyung Lee, Di Cook, Michael Lawrence, Heike Hofmann, Hai-Qing You, Eve Wurtele, Dongshin Kim, Jihong Kim, Hogeun An, and Heather Babka.